Tour these 7 jaw-dropping kitchens, and follow our easy tips on how to get the look! 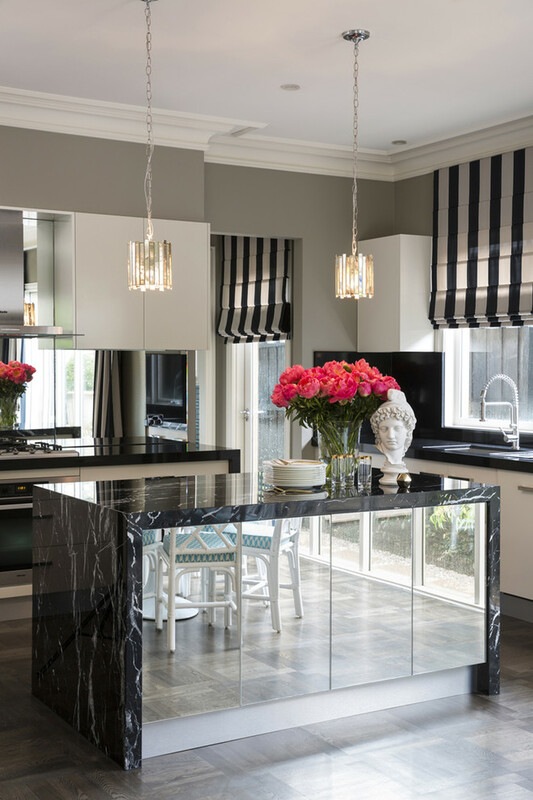 If you are stuck on choosing a color scheme for your kitchen, go monochrome! 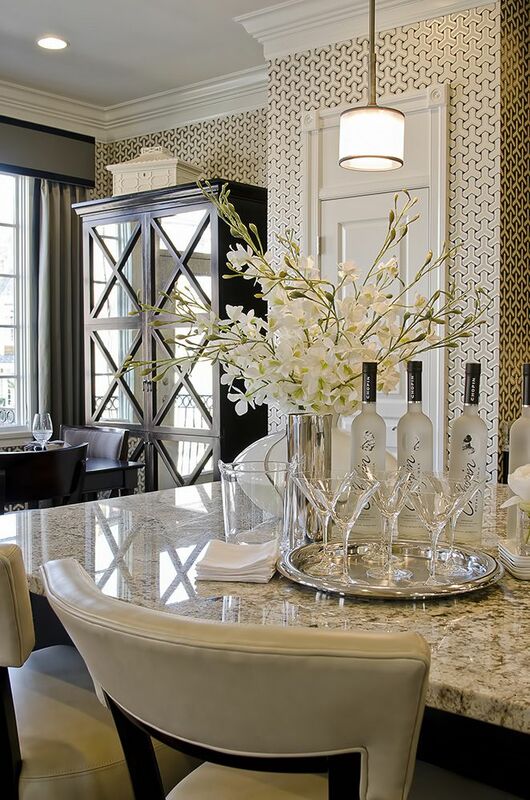 Pairing black and white ALWAYS makes a any space look instantly glammed up. You can try this theme in your kitchen by choosing a light countertop, light cupboard doors, light walls, and then bring it all together with super dark flooring. Now that’s what I call sharp decor! Roll Out the Wallpaper, Vintage Style! In 2016, we are rolling out the wallpaper once again. Designers are swaying towards a more vintage vibe, and calling old trends new again! What’s a better way to bring this trend to life at home than to roll out a magnificent wallpaper in your kitchen? Make sure to go vintage only on the walls, if your kitchen is still stuck in the 60’s you are bound for a big mess! Buy quartz countertops, modern faucets, and use a modern color scheme to make sure your kitchen looks updated, not outdated. An easy designer trick to make a room look put together? Make everything symmetrical! 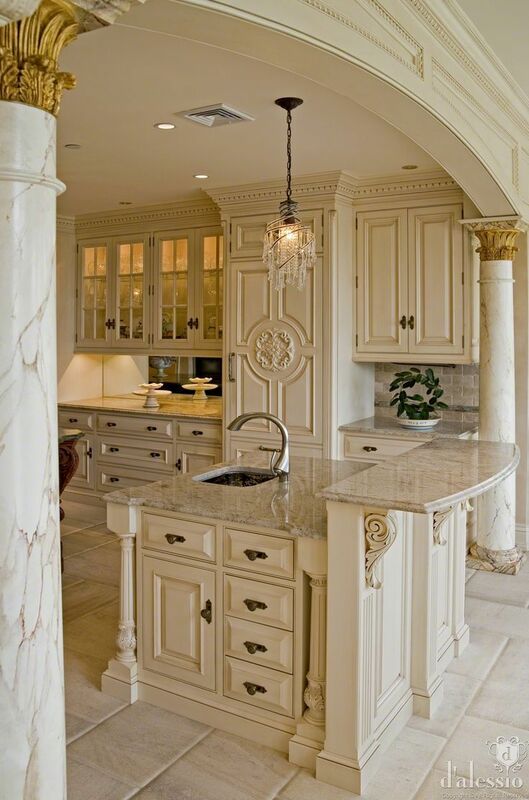 If that means putting a chandelier over your kitchen island, then put two beside each other! Try this trick with anything, two vases on either end of your dining table, two end tables with a lamp on either end of a sofa – you’d be surprised at how this can balance out a room! The kitchen below does look a little suffocated with molding, but you can alter this style at home in no time! 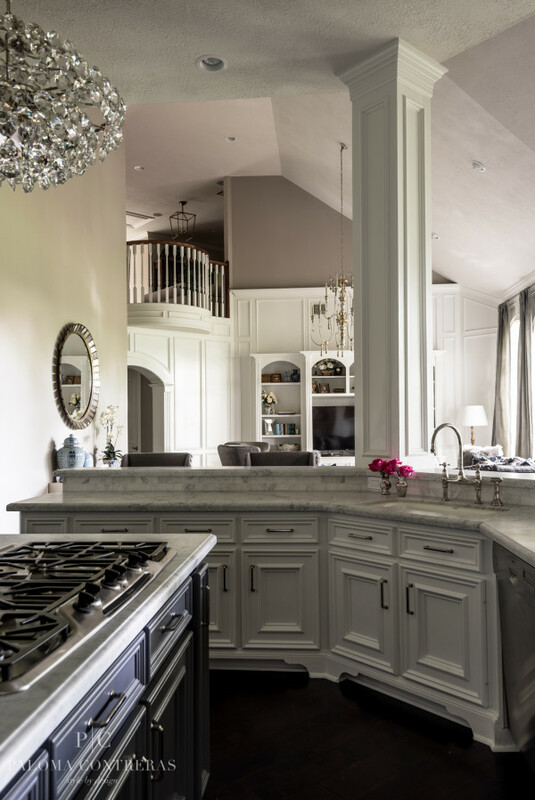 Add a cornice molding above your kitchen cabinets, some fancy intricate detailing to your kitchen island, and some trim onto your cabinets and let it work it’s magic! If you are tight on cash, look for styrofoam moldings instead of wood, you can save a lot and it’s much easier to work with. Most of this you can do yourself at home with some basic DIY skills – trust us it’s not as hard as it looks, but the end result is very beautiful! Show Off Your Pantry – But Clean it First! 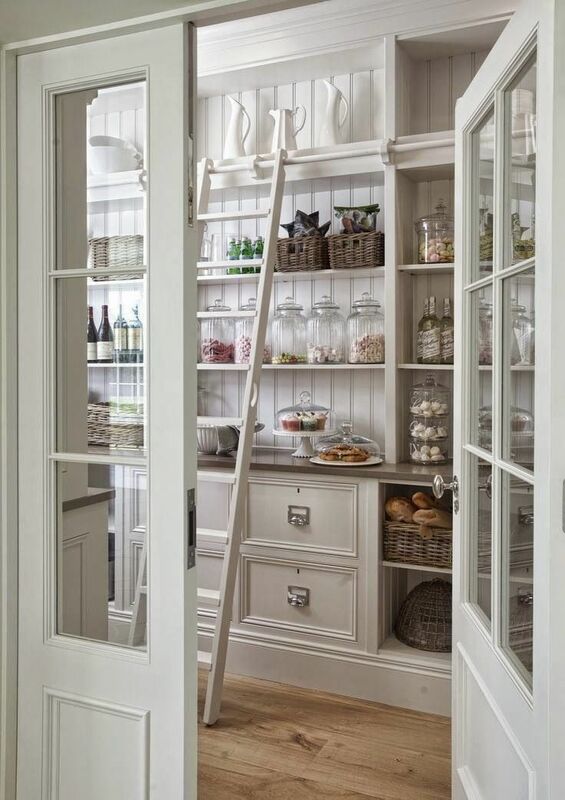 If you are lucky enough to have a built-in pantry in your home, show it off with glass doors! You can make your pantry look high-end with glass French doors, or even glass swinging doors (these are super fun). The only downside is, you need to make sure it’s looking neat at all times! Don’t Forget About Adding Color with Fruits and Flowers! You can add color and life into a plain kitchen with fresh flowers, and a big bowl of fruit. A nice bowl of lemons, oranges, or other in-season fruit makes a wonderful decorative piece that is both natural and edible! Yum! Roman shades are a wonderful window drapery option in the kitchen since they serve as a decorative piece and add privacy to your kitchen. One thing you don’t want to be using for a dream kitchen is those half-window lace blinds – toss them now! If you have basic sewing skills, you can easily sew Roman shades yourself using just about any fabric you like, to perfectly match your kitchen’s decor. The designer below used black and white striped shades which I lOVE! It adds a little cafe-style to the overall look. Don’t you think? Bonus Tip: Go Bold With Color! 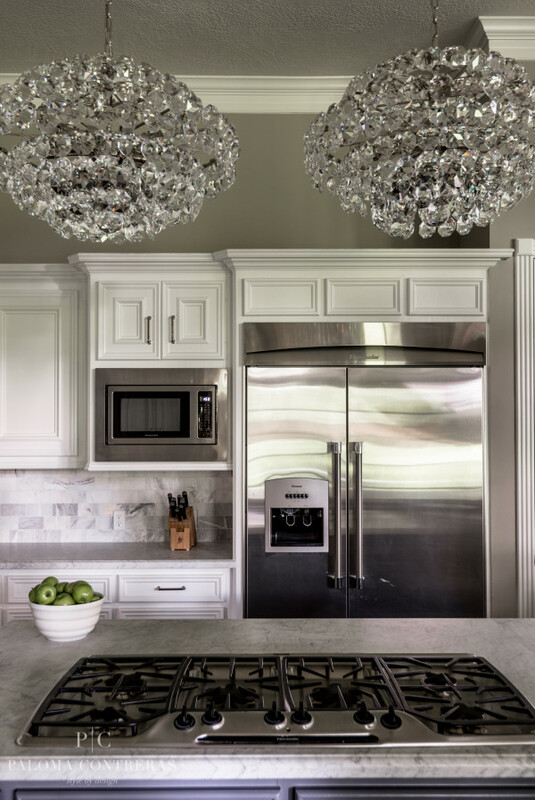 We couldn’t help ourselves but to include this photo in our dream kitchen feature! 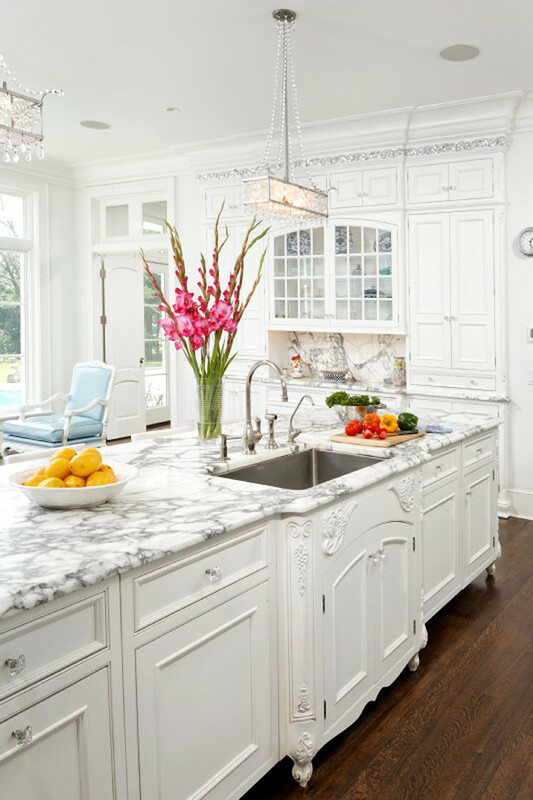 Check out Veronica Swanson mixing up a recipe in this bohemian kitchen that reminds us more of a jewelry box more than anything else! This entry was posted in Kitchens and tagged better decorating bible, blog, blue kitchen, budget kitchen decor, chandelier in kitchen, dream kitchen, how to decorate your dream kitchen, ideas, vintage wallpaper in kitchen. Bookmark the permalink.